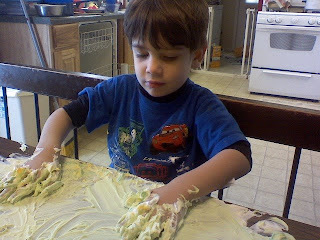 Benji had fun this afternoon playing with the shaving cream and food coloring. He has come so far, last year there was no way he would even touch shaving cream or finger paints or things of that nature. This is a great sensory activity for touch.